Scanned straight from Art Works Kingdom Hearts. 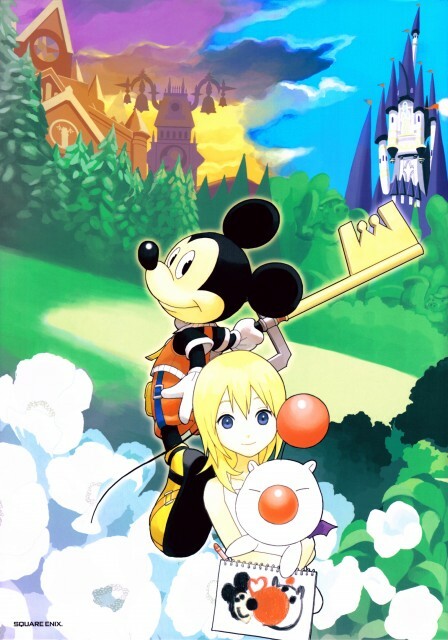 aaaw namine with a moogle..
King Mickey & Moogle - best heroes ever X)) Thanks for sharing! Nice! Thank you for sharing the scan! Moogles are so cute! I want one! Aww~ Namie is carrying moogle! very cute! a Moogle + Namine = a great combination =D Oh, not to forget Mickey's there too.